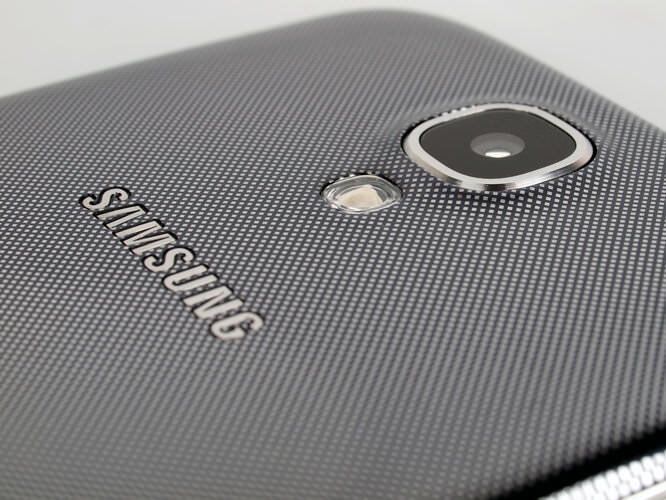 Daniel Bell reviews the Samsung Galaxy S4 camera phone. 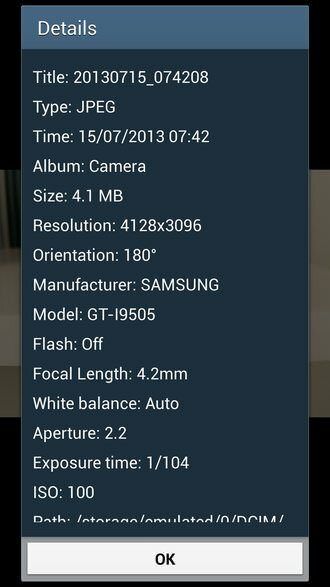 Samsung launched the Galaxy S4 in March 2013 as an update to the S3 and has a 13 megapixel sensor on the rear, 12 shooting modes and runs on Android 4.2.2 (Jelly Bean). It is available in white and black. Since the launch of the S4, Samsung have also announced the Galaxy S4 Zoom with a 10x optical zoom lens, and Galaxy S4 Active which is water, dust and shockproof. The Samsung Galaxy S4 is available from Dialaphone from £27-£52 per month on a contract or £438 without a contract from Amazon. The Samsung Galaxy S4 has two sensors, 13 megapixels on the rear and 2 megapixels on the front. The lens is a 35mm equivalent of 31mm and there is 4x digital zoom available. There is also anti shake to help reduce blur. You're able to geotag your images using GPS. There is auto mode which doesn't require you to adjust any of the settings although it is possible to manually set the ISO to between 100 and 800, change the white balance setting and use exposure compensation. In auto mode you can also apply a number of effects to your images. Other modes include beauty face, best photo, best face, sound and shot, drama, animated photo, rich tone (HDR), eraser, panorama, sports and night. 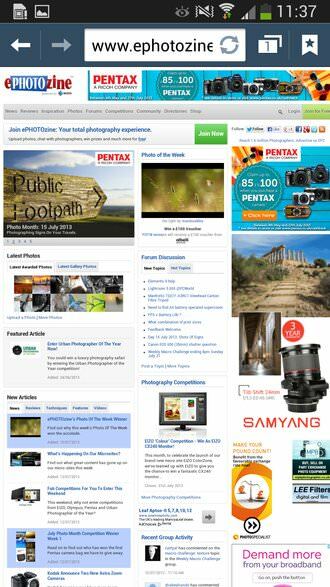 With the camera being powered by Android you can download apps, check your email, browse the web and much more. 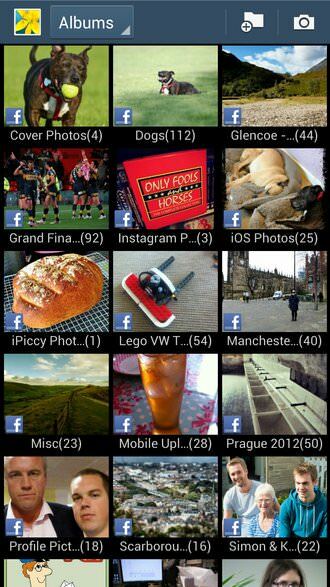 There are plenty of apps for editing pictures, such as Snapseed, and plenty for sharing as well, such as Facebook. Videos are recorded in full 1080p HD and there is the option to switch on video stabilisation. The picture effects are also available when shooting videos. 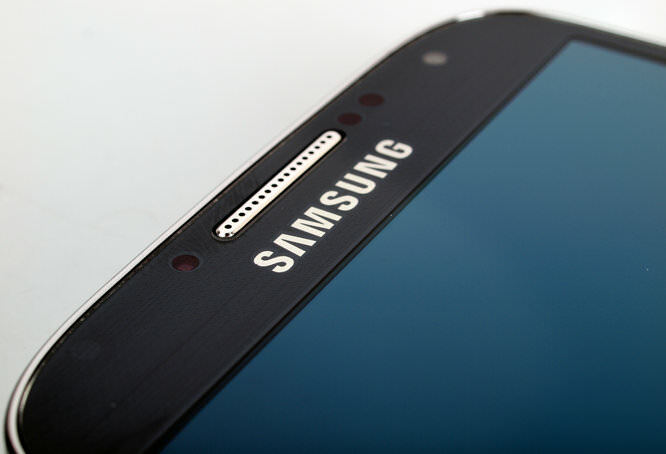 The S4 is thin and has a large 5.0 inch full HD touch screen which fills most of the phone. There is room for a physical button at the bottom which acts as a home button. Either side of this are buttons which only show when lit up, they are menu and go back buttons. There is a volume button on the left hand side and on / off / lock button on the right. You use the screen to access the settings, menus and everything else you'll find on the camera. When viewing your pictures in the photos album on Android, not only does it include the pictures taken on the camera, it also includes those from other services you've connected to, such as Facebook and Dropbox. They can also be edited on the apps. There's no CIPA rating provided for battery life, but with use of the phone, camera, Wi-Fi, 3G and apps, you'll soon find the battery is ready for charging, in all likeliness you'll want to charge it every day. This isn't unusual for smartphones, so it's nothing to be concerned about. When you switch burst mode on you hit the shutter button and the S4 automatically takes 20 shots at full 13 megapixel resolution. Sample Photos - Images are generally well exposed with good colour reproduction. If you want to expand the dynamic range the Rich Tone HDR mode takes pictures with more detail in the shadows and highlights. You're able to shoot at fast shutter speeds, in our sports mode example below the camera has used a shutter speed of 1/1708, fast enough to capture the water droplets. The best skin tones when shooting portraits can be achieved when using the beauty face mode, there isn't any red-eye when using the flash. Lens Performance - Detail is good throughout the image, with a good control over purple fringing. You can use digital zoom up to 4x, this does reduce image quality so you may prefer to crop images yourself or get as close as possible to your subject. Then lens is able to focus as close as 10cm, this doesn't stop the S4 from being able to take good macro shots. ISO Noise Performance - Images are low in noise at ISO 50, 100 and 200, with a slight softening at ISO 400. The highest ISO setting you can manually choose is ISO 800, where noise causes more softening, but image quality doesn't suffer much. The S4 is able to shoot higher than ISO 800, but even in the darkest conditions it rarely gets above ISO 100. Panorama mode - The S4 is capable of taking high resolution panoramas - our example above is 30 megapixels. This is higher than the iPhone 5 is capable of. Detail is good and so is the stitching - we recommend you click on the thumbnail above to view the full panorama. Digital Filters - The S4 comes with a number of filter effects which can be applied to both pictures and videos - we've included examples of each above. Video - Below is a video recorded in full 1080p HD. Quality is good and, as the S4 has a full 1080p HD resolution screen, you're able to view the video on your device at its best. The Samsung Galaxy S4 is available from Dialaphone from £27-£52 per month on a contract or £438 without a contract from Amazon. Other smart phones with cameras to consider are the iPhone 5 (8 megapixels) at £515, HTC One UltraPixel (4 megapixels) at £518, Nokia Lumia 925 (8.7 megapixels) at £486, Sony Experia Z (13 megapixels) at £435 and Blackberry Q10 (8 megapixels) at £426. For those looking at the photographic abilities of the S4, there is clearly an increase in the image quality from the S3. You can now also shoot at a higher fps rate and the screen is now full 1080p HD and 5.0 inches in size. As we found with the S3, portrait shots aren't great, although for better skin tones there is the beauty face mode. With the addition of the Android operating system, Wi-Fi, 3G and 4G capabilities, the Samsung Galaxy S4 is great for shooting on the move and sharing with friends and family. The Samsung Galaxy S4 has a stunning 5.0 inch full HD screen and image quality is good for a camera phone. 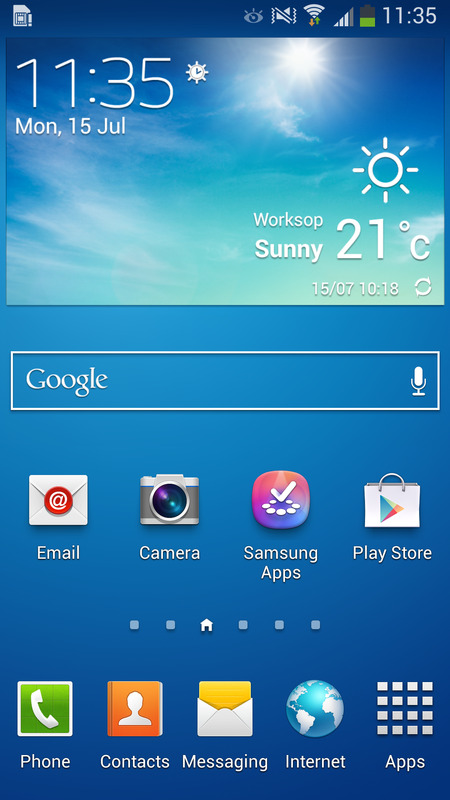 Thanks to Dialaphone who have loaned the Samsung Galaxy S4 for review. this is a phone [u]WITH[/u] a camera. not a camera. why bother doing a review? this is a phone WITH a camera. why bother doing a review? 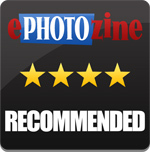 Hi, as a photography website we are interested in how good the camera performs on these phones with a camera. [quote]This is a phone WITH a camera. not a camera. why bother doing a review? [/quote] Because I will be getting mine delivered tomorrow and it's nice to know about it's camera capabilities! :P Regards, Keith. Quote:This is a phone WITH a camera. Because I will be getting mine delivered tomorrow and it's nice to know about it's camera capabilities! Regards, Keith. Normally for my serious photography I use Canon 50D with 3 lenses. However, I always carry my shirtpocket coolpix3100 for opportunity shots. Sadly my coolpix died so I'm looking for a replacement. Also, my Samsung phone is due for upgrade. 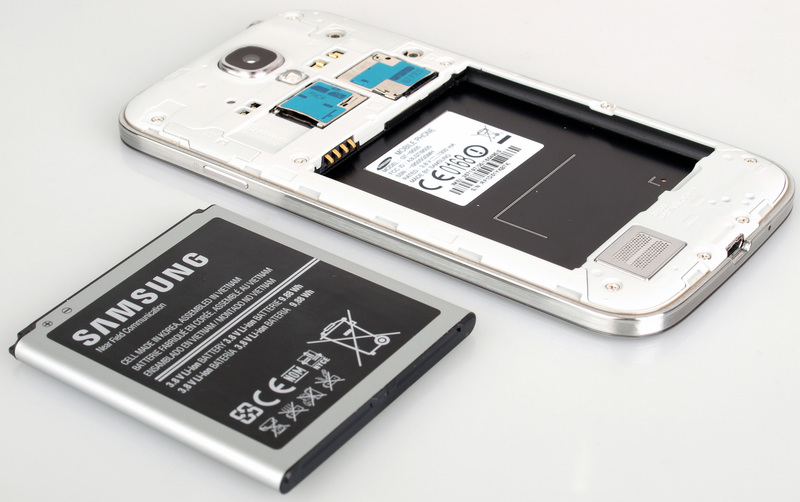 My thoughts are, will the Galaxy4 do both jobs, replace the coolpix, and upgrade the phone. If I buy one unlocked, and sim card free, I'm guessing I can use my existing UK, and Portuguese sim cards, is that correct. What is the price with a 64Mb memory card.